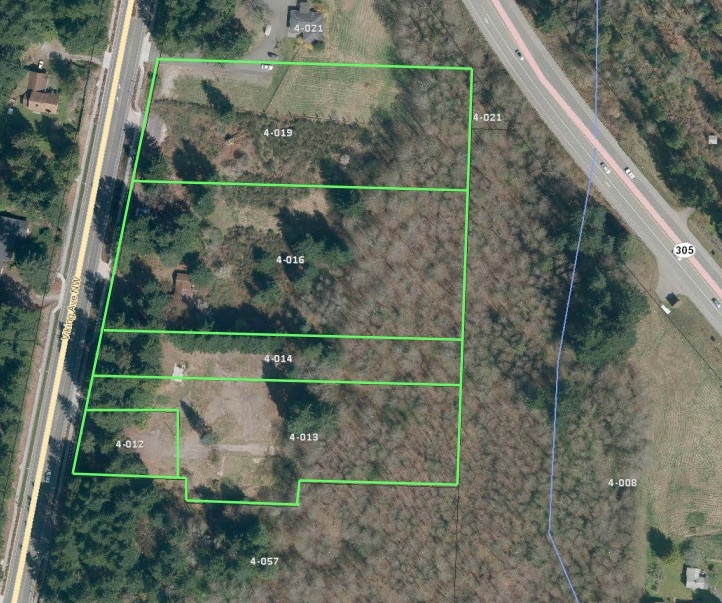 Poulsbo has given the green light to a 91-unit apartment complex planned for Viking Avenue. The Arendal Apartments will be built on 7.6 acres just south of the intersection with Highway 305 and up the road from Fish Park. A wetland occupies the east side of the property. Apartments will be divided among four buildings, each with between 11,000 to 12,000 square feet of floor space, according to a notice of decision issued by the city Thursday. Plans include 174 parking spaces. About a quarter of the spaces will be under buildings. Access will be from a single entrance on Viking Avenue. A club house, playground, barbecue area, bicycle storage and dog park are also planned. The applicant for the project is Viking Avenue Properties, LLC., headed by Kelly Clark of Kingston. You can read the full notice of decision below, and find a detailed staff report here (big PDF file). Good for Poulsbo for being able to bring in development that has a good location, access and plenty of parking. While Bremerton continues to get it so dang wrong. Before you post, please complete the prompt below. Is water a solid or a liquid at room temperature?